Copyright laws exist for a reason—to protect creations so that people cannot steal and profit from the ideas and hard work of someone else. If some unauthorized website owner republishes our articles without permission, we send a cease and desist letter (a formal request to remove the copyrighted material from their website.) In smaller cases of clipping a few more lines than is legal, we may just ask for proper credit. The trouble is, many people still do not understand when it is and is not okay to use an image on their website. Can you use a picture you saw on Flickr? No, not without permission. Is it copyright infringement when your Facebook page shows a pilfered image posted by a friend? Courts have yet to decide, but if you reuse it or send it along yourself, then yes, it is copyright infringement. Or, how about those disks of 10,000 images you buy? Do you have to give credit when using those? If you buy a template are you free from legal liability if it contains an unlicensed image? You have to purchase the disk yourself, or it may constitute copyright infringement. For the most part, any image you find on the Internet probably cannot be used without permission, attribution, or purchasing a license to use it unless the owner specifically says on their site that the image can be freely used. Several U.S. government sites allow their images and content to be used freely without attribution or licensing. The best rule of thumb when it comes to using an image is to assume an image is copyright protected in some way. 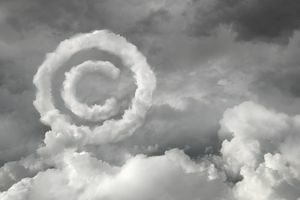 Many novice web developers and folks who create sites for pleasure do not understand that the images they find in a Google search could be subject to copyright protection, and what the legal consequences are if they use a protected image. Maybe you created a website intended for school or only for family, not intending to profit off pilfered images. The law is clear: stealing is stealing, whether or not you profit from it. YouTube makes copyrights even more difficult to understand because YouTube allows many users to post lip-synced videos, and videos taken in secret on cell phones during concerts. Both of which, technically, constitute copyright infringement. Why are some videos flagged or deleted and others are not? When you search for images on Google, the results are displayed in a thumbnail gallery. Hover over an image and information about the image (and sometimes a slightly larger size shows), but nowhere do the cautionary words "May be Copyright Protected" appear. If you copy from the thumbnail gallery - where no disclaimer is displayed, you could be breaking a law you have not been warned about. It is not until you actually click on an image and visit the website where the image was clipped from that Google cautions, far off to the right "This image may be subject to copyright." Question: If we cannot display images on our sites without buying a license, how can search engines legally display them on their own websites? How come pictures of your family on your website belong to you, but search engines worldwide can display them without your permission? Do they have some special arrangement or superpowers? Still, Google is not the copyright police; they are a search engine. Perhaps they expect that all people who use their search engine are smart enough to know about copyright laws on their own. But since search engines do not make it clear, I will: "Just because you see an image here without watermarking on someone else's' site does not mean you can use it too." And, search engines should say, "just because we can show your images without paying you, doesn't mean you can do the same thing to others."